Looking for a gift this holiday season? Let me personally recommend a Smateria bag from the Museum Store. While initially I was attracted to the design and generous size of the large cross-body design, I worried it might be cumbersome. After breaking the bag in on a recent trip to Baltimore, I’m excited to report it is a big winner. 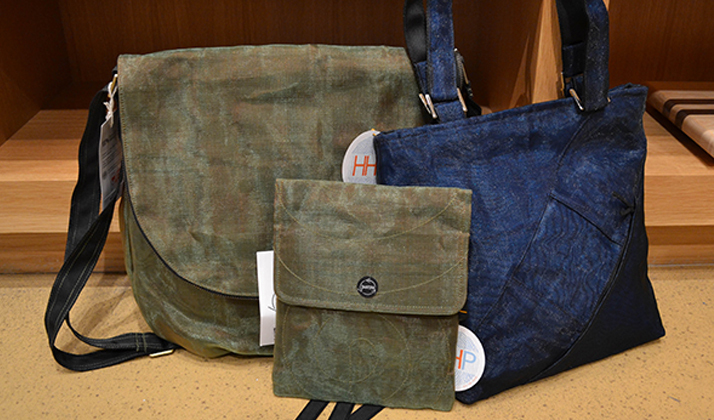 Made from upcycled fishing net, the tote weighs nothing and appears to be indestructible. The straps don’t feel like they’ll give in anytime during this millennium so you can stuff it with books, gifts, extra clothes and the pound of cookies you had to bring home from an amazing Italian bakery. And, as stylish as it is practical, the bag’s color is great (I opted for charcoal gray), the material has a nice sheen to it, and a woven front gives it great dimension and added texture.